I don’t claim many things to be the best. I really don’t. “Best” is so relative. Maybe they’re just the best for the moment. Or for the season you’re in. It’s just your opinion. Everyone’s got their preferences. But I’m confident in these little bundles of buttery, blueberry goodness. They’re the best. I’ve tried a dozen or so blueberry muffin recipes over the years and none of them come out quite like this. Favorite. Ever. 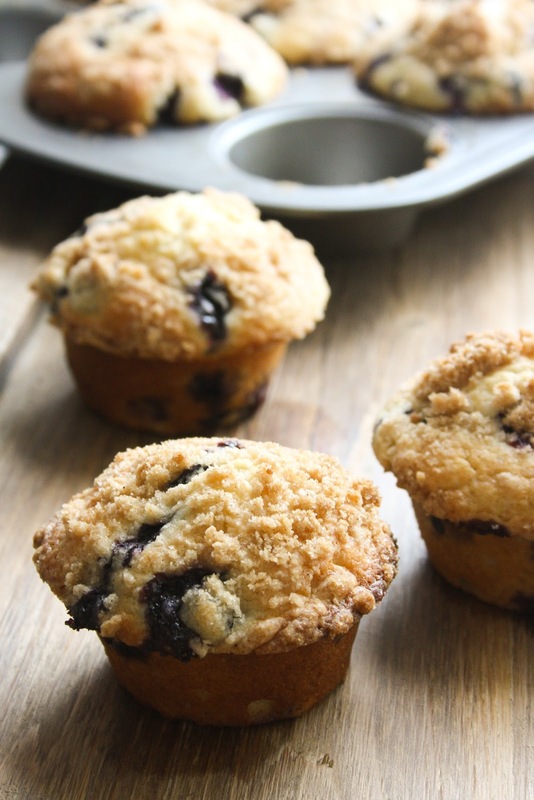 They’re moist and buttery, they’ve got just a hint of citrus to bring out the flavor of the blueberry, and have the crumbly topping. I LOVE the crumbly topping. In my classic Courtney form, I’ve combined the genius ideas of a few recipes and made my own. It’s just the way to go, you know? You can do the same. Go ahead, merge my thoughts with your own. Or with your mom. Or Ina Garten. I don’t care. That’s the beauty of baking and cooking at home — it’s your own form of art. Live on the edge. Preheat oven to 375 degrees. Grease 12 standard muffin cup tin with butter or a 24 mini-muffin cup tin. To make the muffins, in a bowl, using an electric or standing mixer, cream together the butter and sugar until light and fluffy. Add the eggs, one at a time, beating well after each addition. In another bowl, stir together the flour, baking powder and salt. In a third bowl, mix together milk, vanilla and lemon zest. Add the flour mixture to the butter mixture in 2 additions, alternating with the milk mixture. Stir just until evenly moistened. The batter will be slightly lumpy. 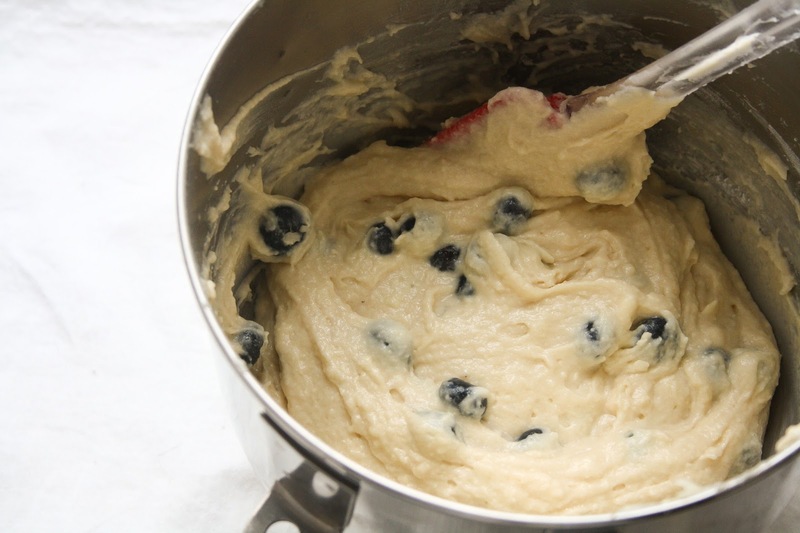 Using a spatula, gently fold the blueberries into the batter. Be careful not to over mix — it just takes a few strokes to get those blueberries in there. Spoon the batter into each muffin cup, filling it level with the rim. Sprinkle each muffin with some of the topping. Bake the muffins until golden, dry, and springy to the touch, 20-25 minutes (standard), 16-20 minutes (mini). A toothpick entered into the center of one of the muffins should come out clean. Transfer to wire wrack and let cool at least 5 minutes.